Lori and I have our own little home cinema in the UK. It is one of the greatest treats. You can stretch out on the sofa, and you can pause the movie to ask a question or refill your wine glass. 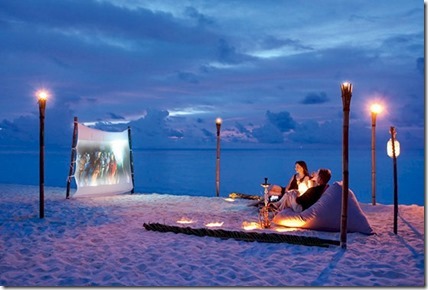 Frankly, we love watching movies and it’s one of the very few things that we might “miss” when we visit the Maldives. Sure, some resorts have public theatres (but that would involve syncing our schedule to the playing times) and most resorts have TVs (but that would involve secluding ourselves in our room when paradise is just outside the door. Moofushi’s approach seems to be an inspired best of all possible worlds. From the sublime, to the ridiculous. 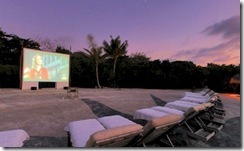 Ridiculously genius that is…Anantara Kihavah outdoor cinema. 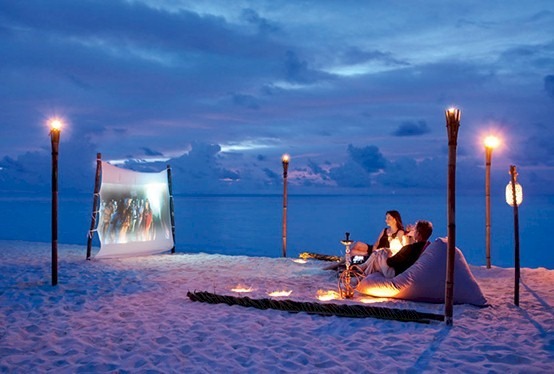 A number of resorts have introduced al fresco screens in recent years, but Kihavah has taken it to a new dimension with their 3D capable projector. (PS. As we’ve entered into the entertainment awards season, I add a added “Film” tag for all the Best of the Maldives gong winners in that category). The Golden Globes tonight celebrate acting across both movie and TV. Super Bowl winners might go to Disneyland, but the golden girls of the screen – silver and tube – definitely head to the Maldives as one of their top destinations. 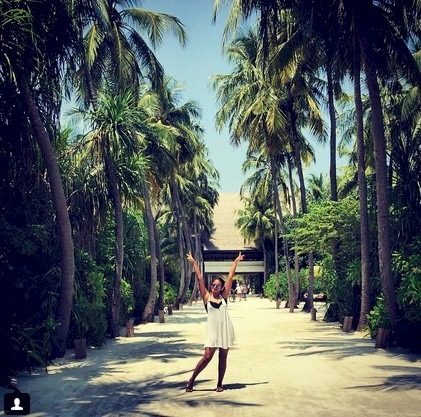 A top UK glitterati hang-out (9 of the top 30 celebrity actress visitors), the Maldives also attracts from as far away as Hollywood right up its own backyard of Bollywood. In fact, 5 of the top 8 actresses including the top 2 spots hail from just across the Laccadive Sea. And where is the “Chateau” of the Maldives resorts? – Four Seasons Kuda Huraa with 4 entries in the top 30. 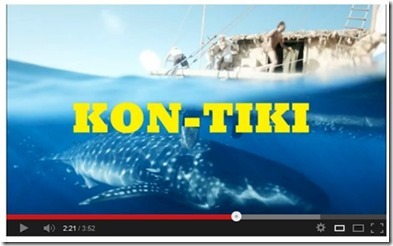 Cannes Film Festival starts today which is a great showcase of fine smaller, independent productions like Norway’s “Kon Tiki”. Which as it turns out features the Maldives as the setting for the final scene (at the resort of Biyadhoo it seems). It’s no surprise then that it was film director Francisco Negrin who alerted me not only this Maldivian cameo (“Just watched kon tiki, this year’s oscar nominated norwegian film. The final scenes, when the raft hits Polynesia, were filmed in the maldives…”), but also all the films ever set in the Maldives. If you want to have your own Maldivian Film Festival, then if you search IMDB for “location = Maldives”, you will get a list of over 33 films such as ‘The Island President’, “Caught Inside”, and “Dhinveynugehithaamaigaa”. 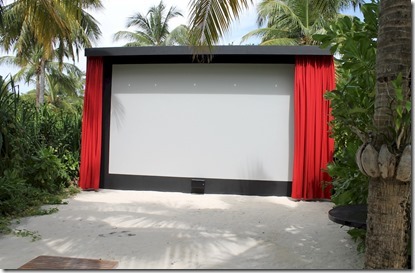 If Maldivian paradise is not escapist enough and you need a dose of Hollywood/Bollywood silver screen spectacle, Soneva Fushi features probably the most comfortable and relaxing film cinemas not just in the Maldives, but in the world. If you miss all of the stars around the resorts, then you can always catch some on the large screen set out on the beach with comfy lounges for taking in a flick.